A cappella has developed and been inspired by many different styles over the years. 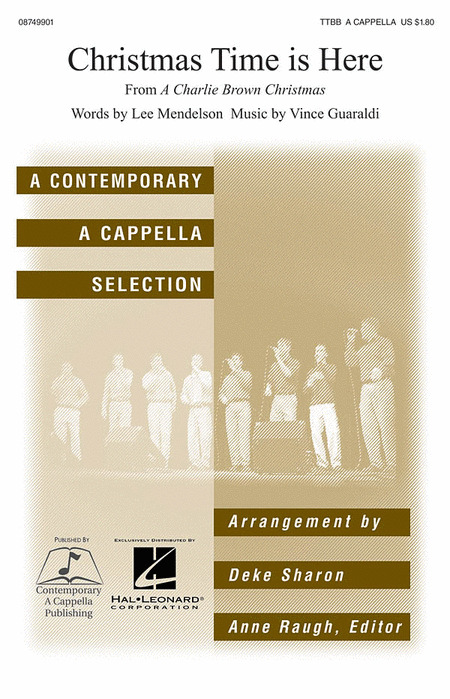 In recent years there has developed a new style of a cappella called contemporary a cappella which has taken the art of a cappella singing to new directions. 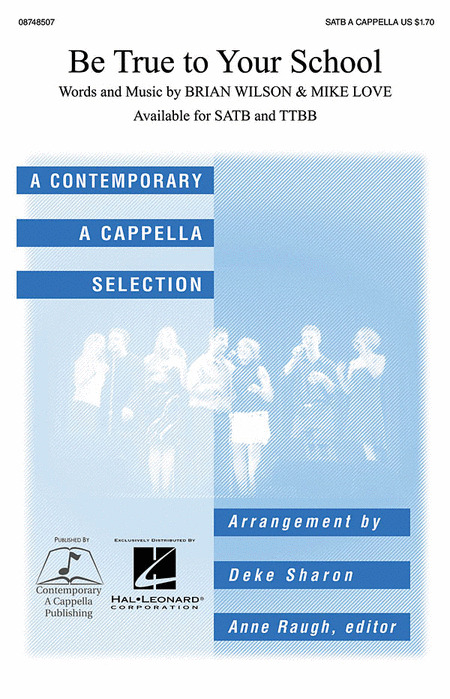 These sheet music arrangements and songbooks are excellent examples of the contemporary a cappella sound. Displaying 1-47 of 47 items. Now available, the second in a series, this collection for men's chorus spans the decades and is designed to give you lots of value with songs your choir will love to perform! Includes: Count on Me (Bruno Mars), Happy Together (The Turtles), Shut Up and Dance (Walk the Moon), The Way You Do the Things You Do (The Temptations), What a Wonderful World (Louis Armstrong). 12 sundrenched hits from The Beach Boys, with vocal parts transcribed exactly as recorded - lead, harmony and background parts, and all inflections. Includes a keyboard reduction of the instrumental parts, and chords labeled to be played by any instrument. Surely one of the greatest American vocal groups whose catchy songs and sibling harmony are a signature sound of an era. "Help Me Rhonda" - The Beach Boys at their best! This authentic doo-wop arrangement "sounds hard and sings easy"! Guy groups (and everyone else) will love it! "I Get Around" Your audience will recognize this number 1 hit from 1964 immediately and your guys' groups will love recreating the spectacular sounds of an earlier era. "Good Vibrations" - It was the sound that changed rock music forever! The number 1 hit from 1966 in a great arrangement by Ed Lojeski. "Little Deuce Coup" - Fast wheels, four-on-the-floor - your guys will really respond to this 1963 favorite. A great motivational choice! "In My Room" - The signature harmonies and deeply felt lyrics of the Beach Boys are front and center in this smooth TTBB arrangement of their 1963 pop hit. Popular contemporary a cappella group The Blenders' arrangements are in high demand for their tight, sweet harmonies. Included here some of their most well-loved Christmas songs as featured on their top-selling recordings. The breezy song "The Lazy Song" is a tribute to the joys of doing nothing! With its reggae-flavored groove and irresistible melody, your singers will have a blast as they recreate the goofy original What would you do if you had a billion dollars? The pop hit of 2010 by Travie McCoy featuring Bruno Mars was covered by the boys in Glee with a breezy, reggae-type style that connects immediately to the listener in a happy, feel-good way. "Just the Way You Are" - The layered wordless accompaniment provides a steady and soulful underlay for the sweet pop melody and lyrics of the Bruno Mars chart-topper. Perfect for Valentine's Day, prom, spring concert or any romantic occasion! "When I Was Your Man" - Piano driven harmonies support the soulful vocals of this acoustic ballad by superstar Bruno Mars that soared to the #1 position on the Hot 100, AC and Adult Rock charts in 2013. It lends itself beautifully to choral and will showcase your pop or concert groups at their best! These five contemporary Christmas arrangements from Eclipse's excellent Holiday album 'Three Kings' are perfect for your small male ensemble. All arrangements are for five male voices. Four more Christmas arrangements from Eclipse's excellent Holiday album, 'Three Kings.' All arrangements are for six male voices. Young men will develop confidence and skill with this collection for men's chorus that spans the decades and is designed to give you lots of value with songs your choir will love to perform! Includes: I Lived (OneRepublic), I'm a Believer (The Monkees), My Cherie Amour (Stevie Wonder), Ring of Fire (Johnny Cash), Viva La Vida (Coldplay). Develop enthusiasm and skill with this great collection for Tenor Bass chorus that will add to your repertoire and be fun to rehearse! 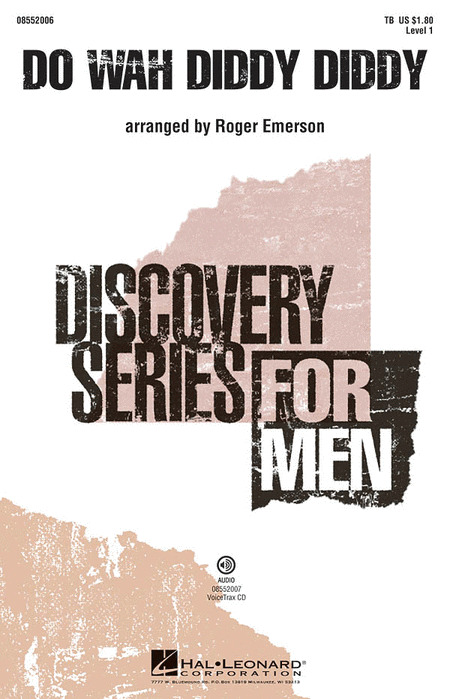 Develop enthusiasm and skill with this value packed collection for men's chorus that will add to your repertoire and be fun to rehearse! Includes: ABC (The Jackson 5), The Lion Sleeps Tonight (Tokens), Man in the Mirror (Michael Jackson), Pretty Little Angel Eyes (Curtis Lee), Silhouettes (The Rays). The classic Beatles song "Yesterday", as recorded by the popular group Boyz II Men, is given a wonderful treatment here by Mac Huff, guaranteed to spellbind your audience. "You Raise Me up" is now available in this a cappella concert arrangement, and the moving lyrics and soaring vocals of this Josh Groban classic will inspire all who hear it. Masterful! Here is a soulful a cappella rendition of "(Sittin' on) The Dock of the Bay", the #1 pop hit by Otis Redding, that's great for contemporary groups. "From a Distance" is a stunning new a cappella setting of the #1 pop hit by Bette Midler. These powerful lyrics and a timeless melody will create an unforgettable concert moment. Magical! 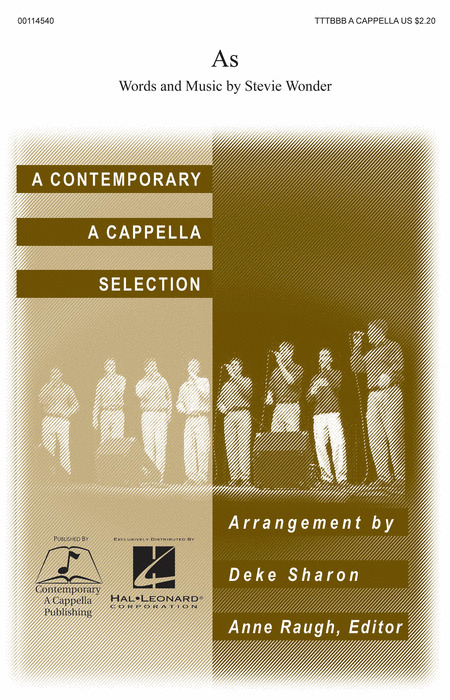 A collection of a cappella originals for male voices. "Barbara Ann" - Introduce your middle school men to the classic sound of the Beach Boys! Authentic sounding right down to the accompaniment, this well-crafted arrangement is unstoppable! "Poison Ivy" - This Discovery arrangement for men uses limited ranges great for developing choirs. Add some choreography and feature your men in your next concert! "Do Wah Diddy Diddy" - The #1 hit from 1964 by Manfred Mann is one of the most recognized songs of the era and will be a favorite for young men's choirs of today. Easily learned and a fantastic concert feature! "Jailhouse Rock" - The #1 hit for seven weeks in 1957, this Elvis Presley classic has been named one of Rolling Stone's 500 Greatest Songs of All Time. Fun to learn and fun to perform, this arrangement is unstoppable! One of the most successful vocal harmony groups of the 60's were the Four Seasons and their songs are as iconic as ever thanks in part to the hit Broadway show Jersey Boys. "Walk Like a Man" was one of the songs that propelled the Four Seasons to stardom and a showstopper in Jersey Boys that chronicles their rags-to-riches story, your men's group will bring down the house with the soaring falsetto over solid rock and roll harmonies. With soaring falsetto and smooth harmonies, "Sherry" was a #1 hit in 1962 and will make your guys the stars of the show. Audiences will love hearing these songs and watch out of they might sing along with the choir!! Few pop songs feature better harmonies that those of the Beach Boys, and "Help Me Rhonda" is one of their best, with a great close harmony chorus over a swinging bass line. The melody is in the Tenor 1 line, allowing either a single or group solo. The Classic Rock "Jet Airliner" anthem originally made famous by the Steve Miller Band is a perfect set-opener or closer, with soaring vocal guitar lines and powerful rock trio harmonies. The melody is in the Tenor 2 line, allowing for a single or multiple soloists. Yeah, yeah, yeah! This 1970's pop hit "Come In From The Rain" translates beautifully into a lush and deeply felt a cappella ballad. Perfect for graduation, end-of-the-year programing of a special concert feature, you will want to perform it again and again! "We Will Rock You" - Your whole crowd will join in with the stomps and claps as you perform this rock and roll classic! This iconic 1978 pop hit by Queen will bring down the house! To make positive change in the world, start with the face you see in the mirror! Michael Jackson's pop hit from 1988 makes a powerful impact through the immediacy of a cappella vocals! "Axel F" - Rocketing to popularity originally with the film Beverly Hills Cop and more recently with the internet sensation Crazy Frog, this song retains incredible popularity with all ages. This a cappella setting will be tons of fun to perform with mixed or men's voicings. "Lullabye (Goodnight, My Angel)" - The Philip Lawson arrangement of the sweet and simple lullaby by Billy Joel on his River of Dreams album is stunning. "Right Here Waiting" - This #1 pop hit by Richard Marx will provide a wonderful romantic moment in a Valentine's concert, spring concert or any time you need a special expression of love! The background vocals create a warm texture and the melodic phrases will warm the heart! 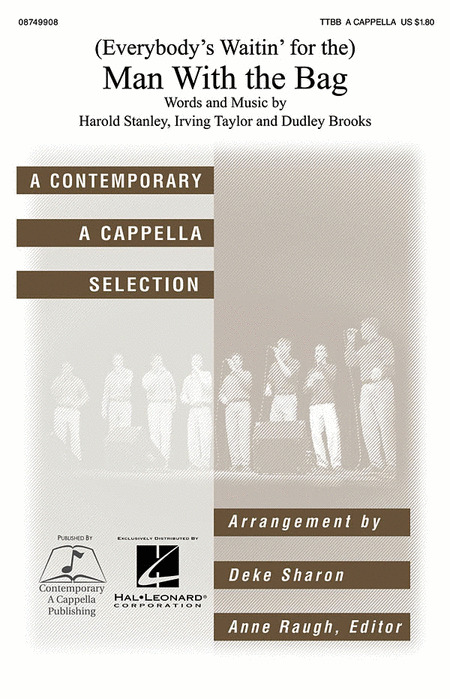 Various Arrangers : Real Men A Cappella! Have some fun with your male voices with these clever and humorous arrangements! "Manly Men's Chorus Extravaganza" is a light-hearted choice for men's choir, the "extravaganza" pokes gentle fun at the male chorus singing tradition. Echoing themes well-known to most men's choirs, this is a singer's song. Moderately easy. From the Real Group's Anders Edenroth "The Modern Man" is great fun for choirs and their audiences. It's a 'tongue-in-cheek' piece on the meaning of being 'a modern man.' Fine selection for festival and concert. Written expressly for the three men of Swedish vocal jazz phenomenon The Real Group. Great entertainment! A selection of songs from the movies include "Alfie" from songwriting legends Hal David and Burt Bacharach and arranged by the acclaimed vocal jazz educator Phil Mattson. This song and text is among the most meaningful in contemporary music and is a personal favorite of this reviewer. Rich harmonies highlight the powerful emotions inherent in the text. The lush a cappella setting of the love ballad "Till There Was You" from The Music Man will be a wonderful choice for more advanced men's ensembles from high school to adult. An ideal festival selection! "Candle On The Water" from Pete's Dragon is available for the first time in men's a cappella setting. This Disney classic will once again enchant your audience. Beautiful harmonies gently accompany the easily-sung melody. Men's choruses will create a magical spell with this richly expressive setting for unaccompanied TTBB voices "The Nearness of You" with solo of the famous Hoagy Carmichael standard. A challenging work but well worth the effort! Stephen Stills wrote "Find The Cost of Freedom" after visiting a Civil War battle site and the emotion is still potent today: "All the brave soldiers that cannot get older been asking after you ... Find the cost of freedom buried in the ground." The a cappella texture makes it especially moving. "Come Go With Me" - Put a special soloist out front with this doo-wop hit of the '50s! 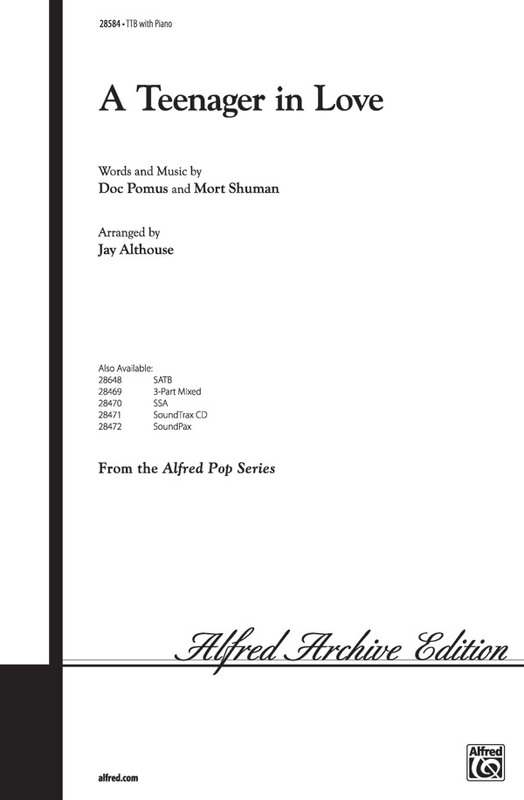 Here's a super arrangement of the top pop hit "Stand By Me" from 1961. "Sixteen Tons" - Here's a great a cappella setting of the Tennessee Ernie Ford work song from the '50s. Excellent independence of voices! 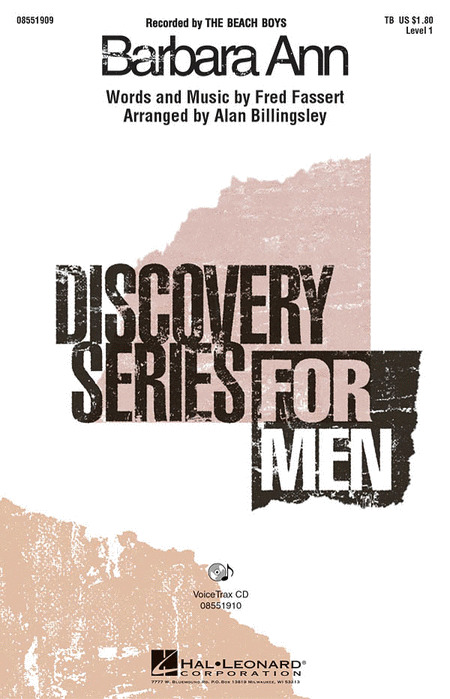 The pop hit "Lonely No More" by Matchbox Twenty frontman Rob Thomas is scored here for your advanced beginner to intermediate men's group. The hook is way catchy, and your singers will be begging to perform this one over and over again! First performed by The Persuasions and popularized by The Nylons "Good Old A Cappella", this tune has become a standard for contemporary a cappella groups. "Be True To Your School" - Perfect for pep rallies, sporting events and school assemblies, the breakdown in this arrangement gives your singers a chance to get everyone in the bleachers chanting and clapping along. Rah Rah Sis Boom Bah! "Change The World" is classic Eric Clapton! This bluesy a cappella doo-wop setting has a great message and is easy to learn. A great pop or jazz choir feature. Displaying 1-50 of 223 items. This #1 pop hit from 1968 by Otis Redding has retained its immense popularity over the decades with its soulful harmonies and reflective lyrics that speak to listeners of all ages. This arrangement is highlighted by a fresh rhythmic and harmonic approach that is immediately compelling. Available separately: SATB, SAB, TBB, ShowTrax CD. Duration: ca. 2:46. This #1 song from 1966 by the Righteous Brothers is a powerhouse in this super TBB arrangement by Mac Huff. 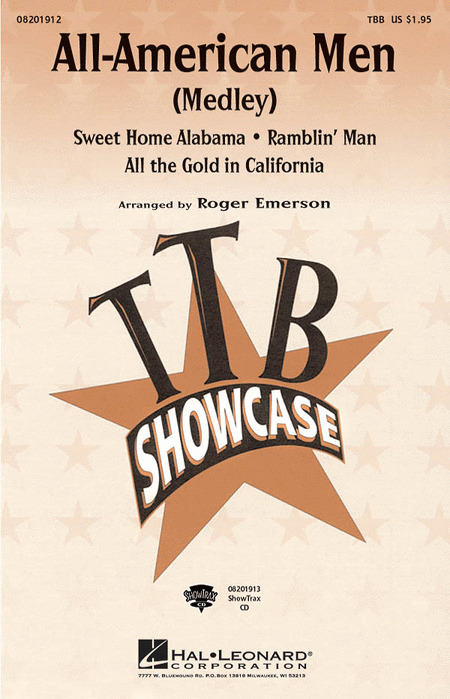 Available: TBB, ShowTrax CD. Performance Time: Approx. 3:20. This rousing medley of guy favorites is sure to bring down the house! Featuring easy to sing harmony, it includes: Sweet Home Alabama (Lynyrd Skynard), Ramblin' Man (The Allman Brothers Band) and All The Gold In California (The Gatlin Brothers). Available separately: TBB and ShowTrax CD. Performance Time: Approx. 6:00. Fans of the American rock band Train are legion and embrace the indie/rock/folk sound of this group wholeheartedly! The driving track, awesome vocal harmonies and compelling lyric narrative transfer beautifully to choral that your pop/show groups will love to perform! This Robbie Williams pop hit from 1997 was a powerhouse men's choir feature on the BBC show Last Choir Standing. An inspirational choice and great motivator for your guys! Available separately: TTBB, ShowTrax CD. Duration: ca. 3:20. Introduce your middle school men to the classic sound of the Beach Boys! Authentic sounding right down to the accompaniment, this well-crafted arrangement is unstoppable!Available separately: TB and VoiceTrax CD. Performance Time: Approx. 1:45. Discovery Level 1. Alternative indie rockers American Authors climbed the charts in 14 countries with this irrepressibly upbeat anthem that has youthful enthusiasm to spare. The plucky banjo riff and street-percussion rhythms are instantly recognizable, and a singable hook offers squeaky-clean pop lyrics. Our SSA voicing easily adapts for 2-part choirs by incorporating a small group of singers on a repetitive one-bar signature phrase. What would you do if you had a billion dollars? The pop hit of 2010 by Travie McCoy featuring Bruno Mars was covered by the boys in Glee with a breezy, reggae-type style that connects immediately to the listener in a happy, feel-good way. Available separately: TBB, ShowTrax CD. Rhythm section parts available as a digital download (gtr, b, dm). Duration: ca. 3:00. From Michael Jackson's number 1 hit from 1991 to the Glee cast cover of the song, this is a song that truly spans the generations. The iconic guitar riffs add sizzle and the rhythm infused pop sound will energize your concert! Everyone will think of Elvis when they hear this one! Take your audience back to the early days of rock and roll with this '50s pop classic. 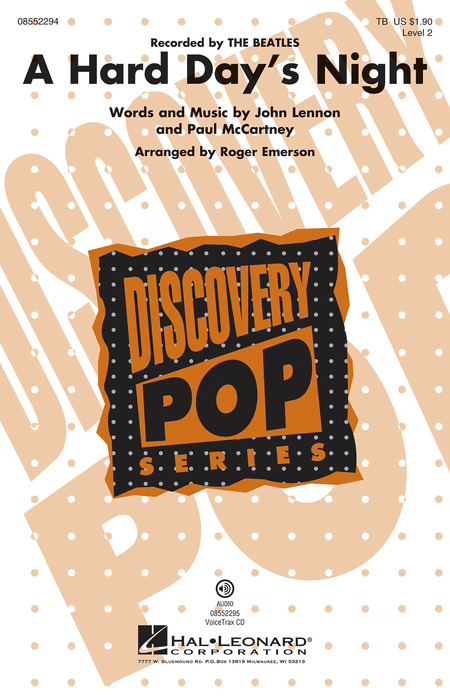 One of the most enduring pop hits of the 1970s is now available in all voicings and with an option for live instrumental accompaniment! It's the perfect pop/jazz feature or tongue-in-cheek encore piece for concert choirs. Kirby Shaw has put together three early rock and roll favorites that provide a great way to feature your boy singers. 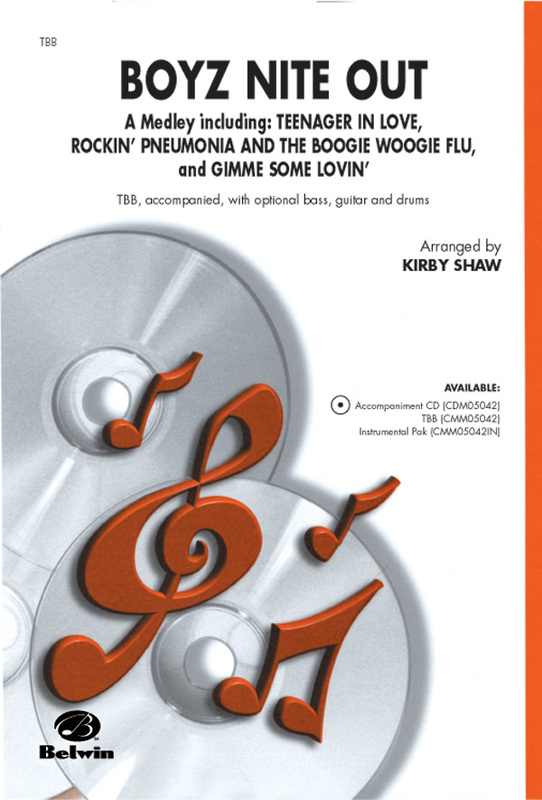 Includes: "Teenager in Love," "Rockin' Pneumonia and the Boogie Woogie Flu," and "Gimme Some Lovin'." This one will delight any audience! 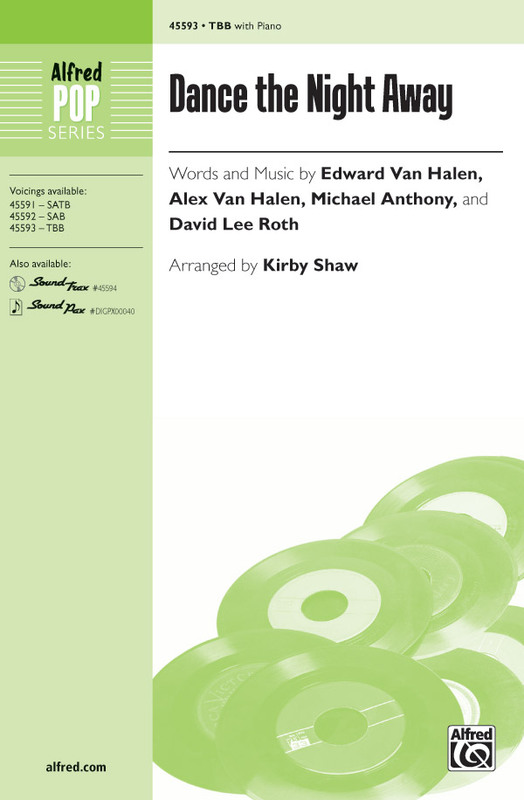 Kirby Shaw's phenomenal arrangement of this Simon & Garfunkel hit ballad is contemporary choral writing at its finest! 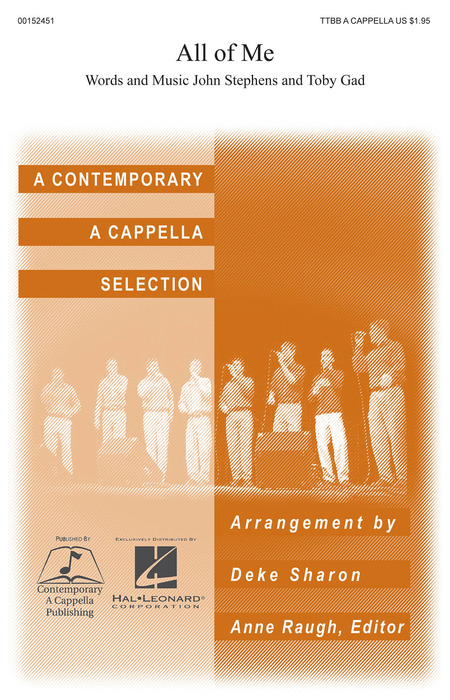 The light, harmonic a cappella opening is contrasted with this soaring fresh gospel-style setting that holds opportunities for improvisation from multiple soloists. This is an excellent choice for a pops concert or graduation. Available separately: SATB, SAB, TTBB, SSA, Show Band Orchestration, StudioTrax A/P CD. Here's a churnin' and burnin' tune that's hot, hot, hot! The 1972 pop hit by Elvis Presley has been covered by dozens of other artists and will be an awesome feature for show and pop groups everywhere! Available separately: SATB, SAB, TTB, ShowTrax CD. Combo parts available digitally (tpt 1, tpt 2, tsx, tbn, gtr, b, dm). Duration: ca. 3:25. Nostalgia at its best! Whether you have a men's group or a young choir, you and your kids will love this Neil Sedaka 1961 hit in this energetic arrangement by Alan Billingsley. Available: TTB. Performance Time: Approx. 2:15. Covered by a multitude of artists since it was first recorded, this timeless hit is re-imagined for this arrangement as a slower, bluesy ballad. 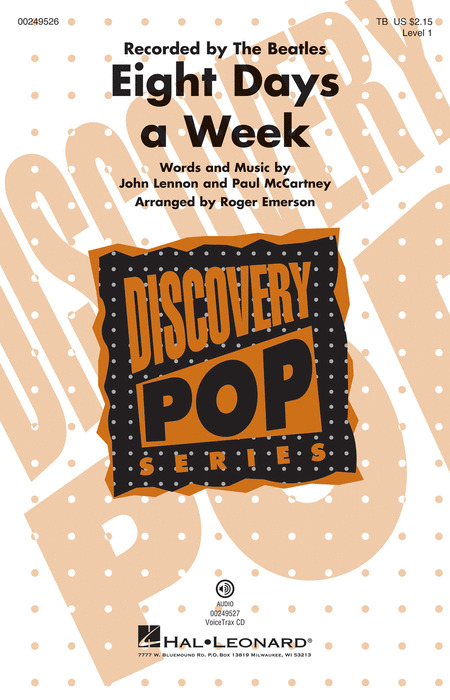 As part of the new Concert-Pop series, this will really come alive with a larger choir capable of divisi in all parts. One of the all-time favorites from none other than the King! This 12/8 classic croons with romance in a warm and wonderful setting by Ed Lojeski. Full harmonies, easily sung. Available: SATB, SAB, SSA, TTB, ShowTrax CD. Performance Time: Approx. 2:40. Here's the 1977 pop hit from Kansas skillfully arranged to have your men's ensemble sounding hot! An inspiration for your guys and great for those recruiting concerts! Available: TBB. Performance Time: Approx. 2:45. 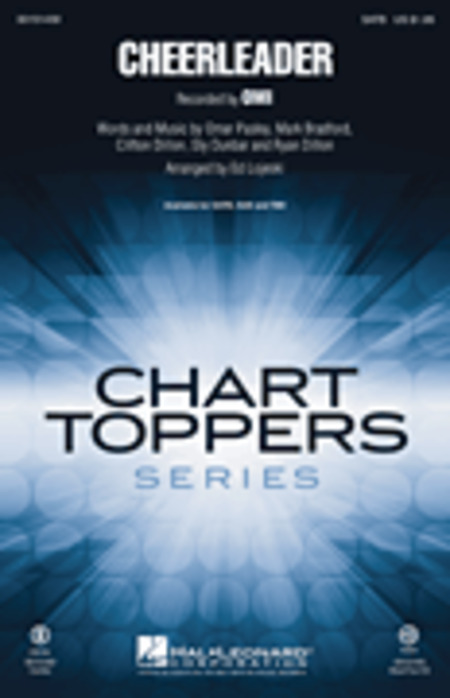 OMI's international chart-topping hit is now available for your men's choir! This effervescent pop number features a fun, infectious chorus. Add the optional trumpet and conga parts for a memorable men's feature for your next concert! From Jamaican singer OMI, this was the major hit of 2015 with its sunshine-warm vibe and trumpet solo. Audiences will love this happy tune that is easily learned and fun to perform. One of the top groups of the 1960s, The Association is known for their tight vocal harmonies and their string of chart hits. The songs continue to be popular today and this X-minute medley captures the excitement of the era. Songs include: Cherish, Everything That Touches You, Never My Love. 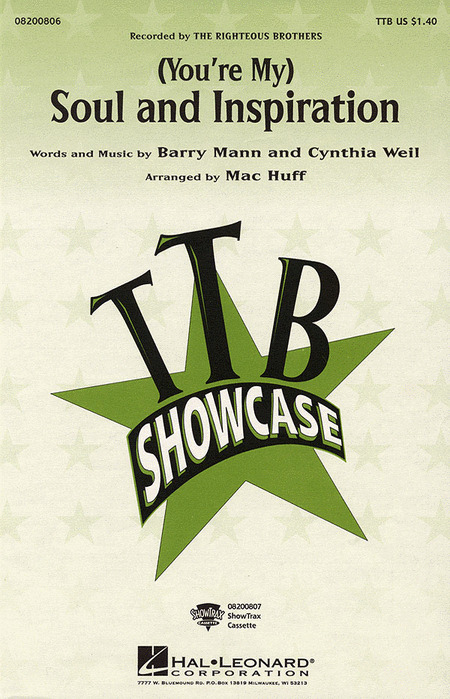 Available separately: SATB, SAB, TTB, ShowTrax CD. Duration: ca. 5:45. With a walking bass line, sizzling horns and over-the-top vocals this rockabilly hit from Queen gets a vocal jazz remake! Equally effective with pop/show choirs, this chart will put your group on the map! Peaking at 15, this classic was Van Halen's first pop hit in the United States. Fun harmonies and a great hook make this one a real crowd-pleaser! This 1962 pop hit by the Contours captures all the sound and energy of the era and makes a perfect dance feature!Available separately: SSAB, SAB, TTB, ePak(C) and ShowTrax CD. Peformance Time: Approx. 2:20. 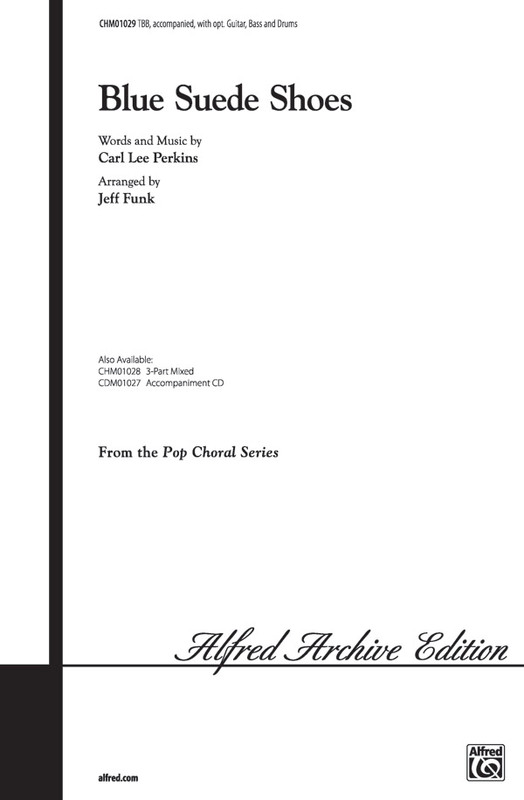 This new choral arrangement of one of Elvis Presley's biggest hits is perfect for your young singers and especially for your men! The '50s sound is captured here with every bop, bop and oo, ah and will make a charming performance piece to introduce a rock classic to your singers. Available: 3-Part Mixed; TBB; 2-Part; StudioTrax CD. Now available in an irresistible a cappella setting that echoes its roots, this song shot to the top of the charts in 1973 with strong lyrics and great hook, Give me the beat, boys, and free my soul. 1978's hit from the rock band Kansas, with its melancholy melody and philosophical lyrics, is hauntingly arranged here for men's voices, including parts for bass guitar and string quartet. 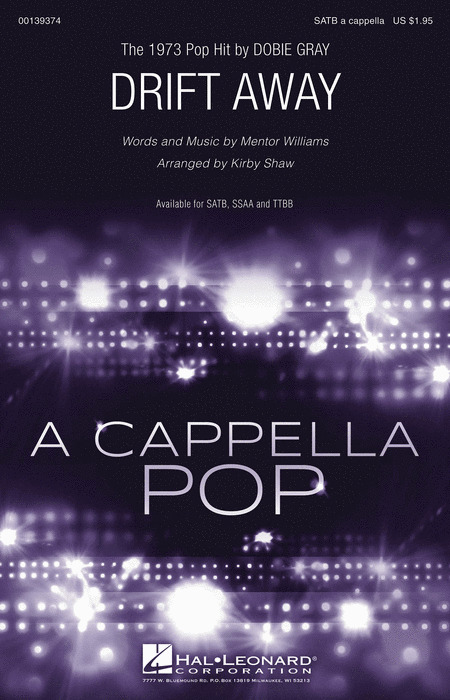 A stunning pop selection that allows your male choir or ensemble to sing beautifully in concert form. Topping the country chart in 1959 and the pop chart in 1960, this hit by Marty Robbins tells the gripping story of a cowboy who falls in love with a girl from Rosa's Cantina. This setting for men's voices, with two mariachi trumpets, evokes the time and place and the drama of the narrative to create a fantastic concert showpiece! Duration ca. 3:50. I know something is coming; I don't know what it is; But I know it's amazing... A hit on both the Country and Pop charts in 2004, this song recorded by Rascal Flatts sends a strong message of good things to come.Available separately: SATB, SAB and TTB. ShowTrax CD also available. Performance time approx. 3:10.